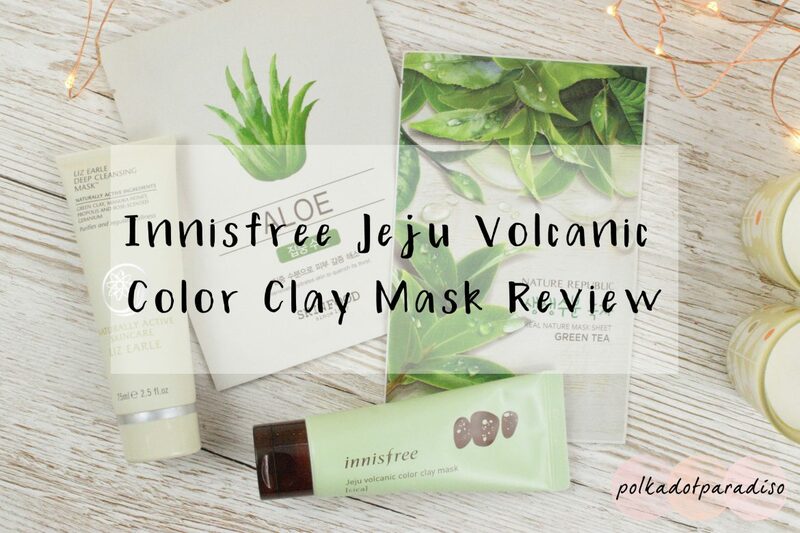 While I’m starting to enjoy using sheet masks more, you can’t beat a good clay mask. Break outs and flare ups aren’t too regular now thankfully. However, when it does happen, there’s one mask I always reach for. There’s seven colours of this mask available. The idea is that you multi mask and use different ones on different areas of your face, according to your skin concerns. Instead of doing that I just picked up the green one, Cica. This claims to help with sebum control and redness/scarring. As this is just what I need when my skin is breaking out, I figured this would be enough. The colour of this mask does match the outside. It’s a really nice smooth consistency and applies really well. It will get under your finger nails and all over the sink, but unlike other clay masks I’ve tried, it’s easy to clean. After around 20 minutes, this starts to crack slightly. It never feels like it’s drying on my skin, or feels uncomfortable at any point. It’s only when I look in the mirror and see it’s dried that I even know it’s happened. Removal is easy. I just use a muslin cloth and it’s off my face pretty quickly. The first day or so after use my skin is smooth but slightly redder. That’s because this has a tendency to bring anything that’s about to pop up to the surface a bit quicker. However after that everything dies down very quickly. A few days later my skin is so much calmer and clearer than it was before the mask. I don’t use this very often as it’s not what I would consider a maintenance mask. Having it on the shelf though for those skin SOS times, it’s one of my skincare staples. At less than £7 for a 70ml tube that will last ages, it’s also great value.